Light Movers Inside Grow Tents - Absolutely Important! 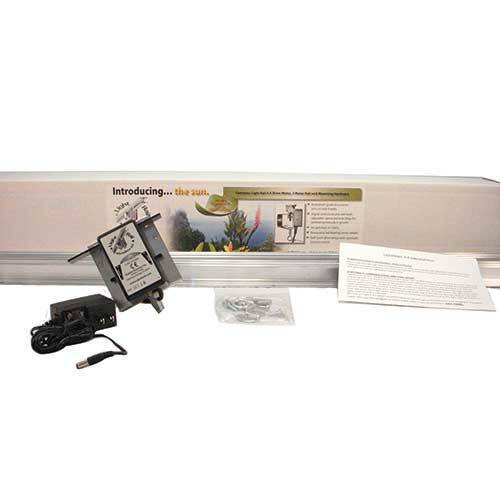 Grow tent light movers get a better indoor plant light to more of the leaves. And, this indoor grow system interaction happens at just the correct amount of time. Sure, we all know the benefits of moving indoor grow lights. The main advantages include getting a better quality of indoor grow light to more of the leaves. Also, it includes a more intense grow light system to get better results from our grow lamps. Plus, we can cover about 30% more area, variable dependent, and that’s for any indoor grow setup. That equals grow equipment savings in upfront costs meaning fewer indoor grow lights to buy and maintain. In addition, the monthly utility savings for our indoor grow setup is significant. 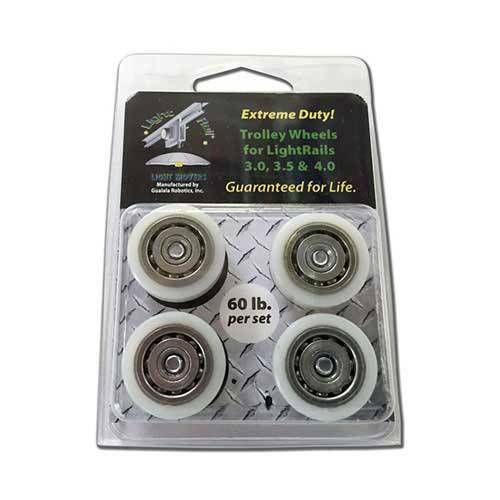 And, those benefits exist whether we use a LightRail 3.5 Kit, a LightRail 4.0 Kit and a LightRail 4.20 Kit. So, what about light movers inside grow tents? Does yield go up in a small indoor grow system when we move our grow lamp? Yields go way up when indoor grow lights are moved with LightRail light movers, no matter the setting. 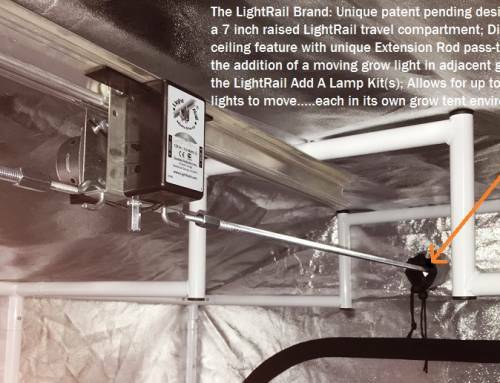 We think of indoor grow lights and LightRail light movers together as indoor grow kits and we see this as a natural, logical fit. So, of course, we move our grow light system. Indoor grow tent details can vary from grow tent to grow tent, but the difference light movers can make is a constant. The short answer is, well yes! The science stays the same. Light movers inside grow tents work exceptionally well. Yes, it’s true that for the number of grow lamps needed in a small grow tent or grow closet, you’re not necessarily cutting down the number of those grow lamps. That’s because it’s likely you only need one indoor plant light, but here’s the thing. 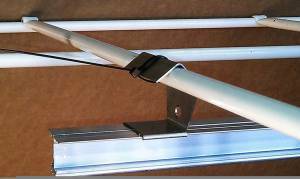 When you use a LightRail light mover, you might be able to use a slightly smaller grow lamp. 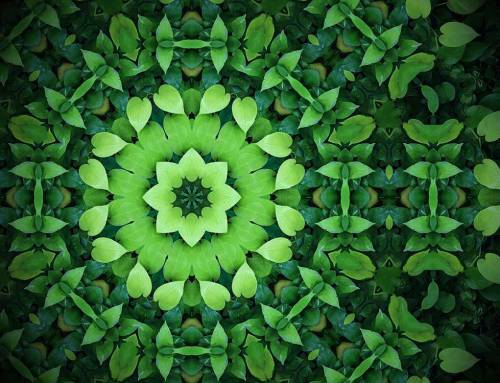 A smaller indoor plant light, on its own, will be using less electricity. There’s the grow equipment savings in upfront cost and cost of operation. 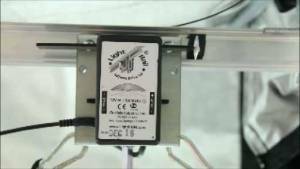 An LED grow light, as an example, in a small space moved on light movers inside grow tents performs remarkably well. It’s much better than a stationary LED indoor plant light for any indoor growing system. That’s because the unique focused beam of the LED grow light is now used efficiently on a light rail system. 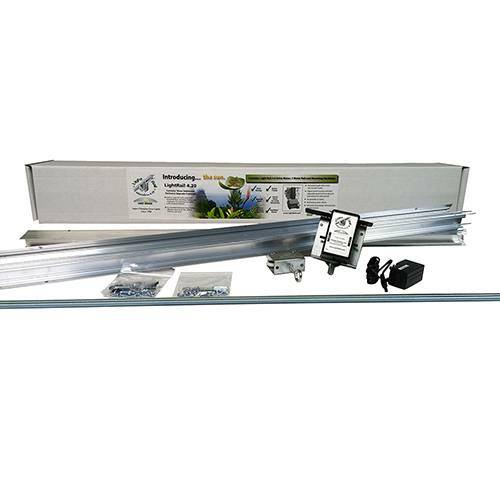 A LightRail light mover is the only way to get that intense beam of indoor grow light to all the plant. That’s for maximum grow light system coverage and that includes light movers inside grow tents. 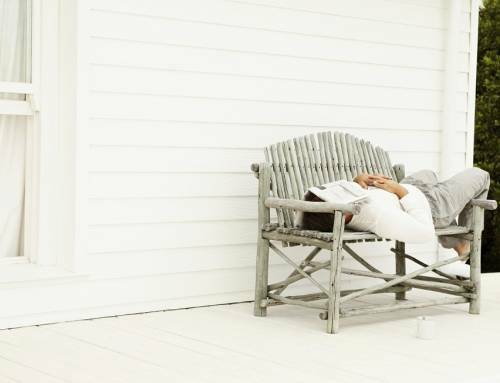 And, with that indoor plant light moved just a few feet or less, that results in major advantages. That includes the plants absorbing a better quality indoor grow light to more of the leaves. That’s in contrast to an indoor growing system with a larger stationary indoor grow light beating directly down on the tops of the plants only. Take a look at this grow light ppfd comparison chart to see how that looks. So, faster growth and higher yields are achieved when we upgrade our grow light system to robotic lights. Getting the indoor plant light to pass over the tops of the plants makes a significant difference. This is true for any indoor growing system, including the smallest grow tent. 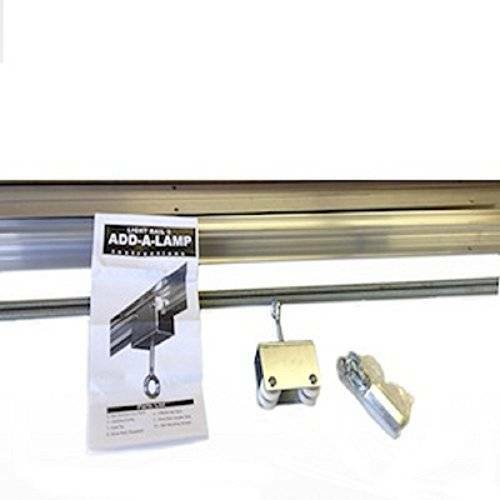 Rail Hanger Brackets work great for hanging a LightRail light mover in a grow tent. The grow equipment upgrade of moving our grow lamps on light movers give us serious advantages. This indoor grow system detail will give us faster growth and significant yield increases. Ok, you say, but LightRail light movers come with a two meter (6’6″) Rail. So, how does the light rail system work inside a smaller grow tent? Get ready for it because here’s a DIY light mover hack you’re going to love. 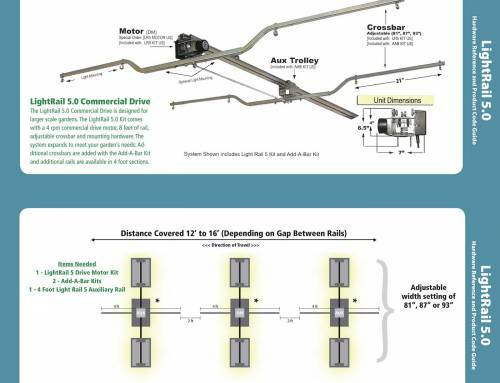 The Rail in the light rail system comes in two slide together sections of 3’3″ each. So, we can use only half a Rail. Using a light mover with a half Rail results in the same benefits as someone with more area who is using a full Rail. It makes for identical benefits for our grow light system. Plus, you now have a Rail half left over which you could buy a LightRail Motor only for. We’ve just doubled our indoor grow setup. The science of light movers with indoor grow light systems is the same no matter the size. 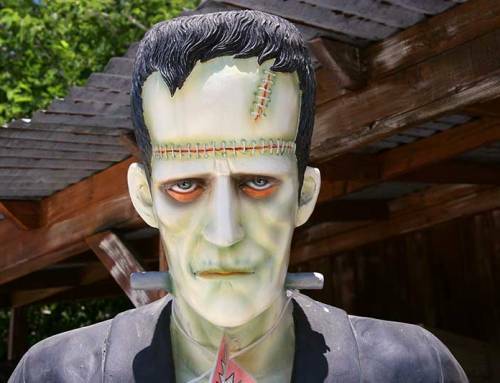 So, it doesn’t matter if we have small grow light systems, medium grow light systems or if we have the largest commercial grow equipment operation out there. LightRail will move all grow light systems. That’s for any indoor growing system, no matter the weight as each Rail holds 75 lbs if mounted properly per instructions. .